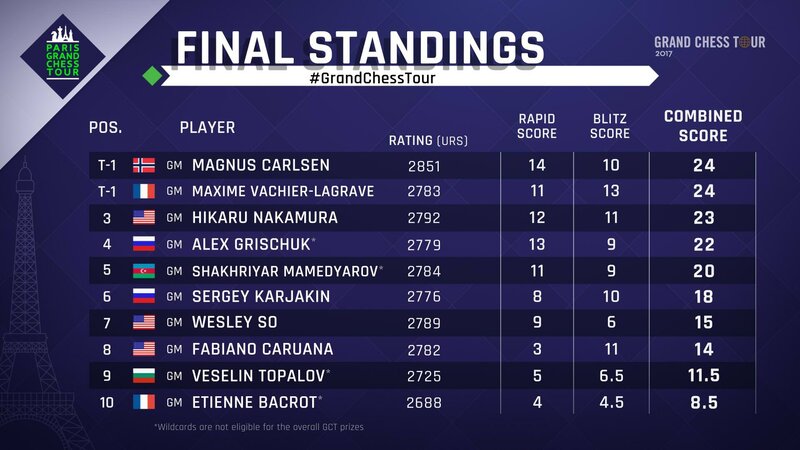 At the end of 9 rapid and 18 blitz rounds of Grand Chess Tour Paris 2017, Magnus Carlsen was tied with Maxime Vachier-Lagrave for first place with 24 points apiece, thus they faced off in tie-break games. 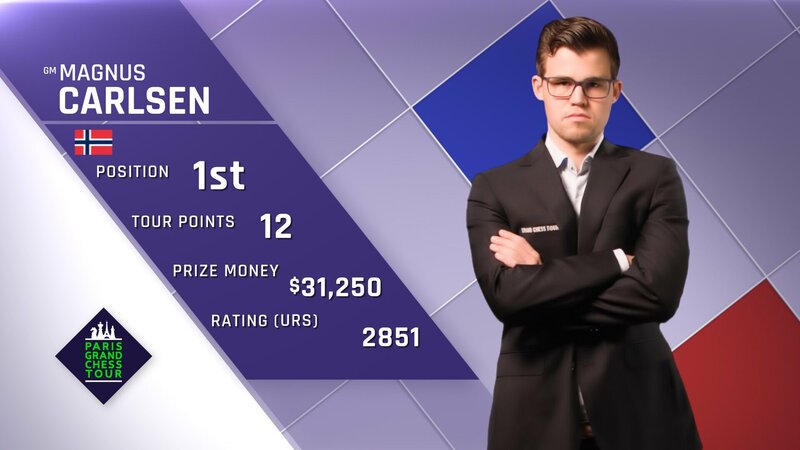 After two tie-break games, Carlsen came out victorious with 1.5 points vs. MVL’s 0.5. Nice rebound after a weak Norway showing. 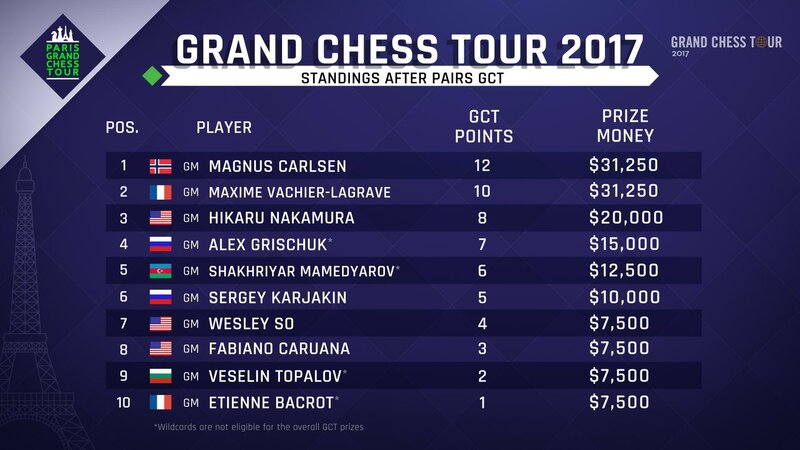 blitz and rapid…not the standard tournament. 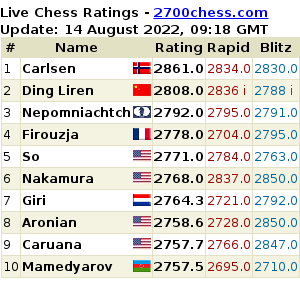 Only Aronian and MVL can give magnus a run for his money!